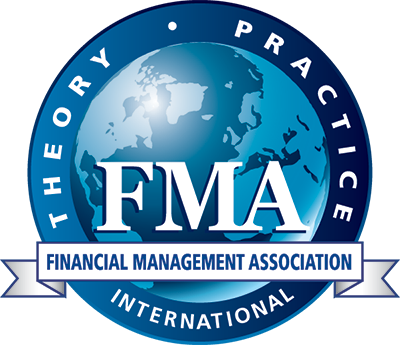 The Twenty-First Annual FMA European Conference brings together academicians and practitioners with interests in financial decision-making and provides a forum for presenting new research and discussing current issues in financial management and related topics. Presentations of research papers, panel discussions, and tutorials will begin Thursday morning and end Friday afternoon. The Doctoral Student Consortium will be held on Wednesday, 21 June. Onsite registration will be available. This two-day conference will features high-quality research and opportunities for networking at lunch, the evening reception and during the conference dinner. Conference sessions will include paper presentations and panel discussions. Professor B. Espen Eckbo holds the Tuck Centennial Chair in Finance. He is also Faculty Director of Tuck's Lindenauer Center for Corporate Governance, which he founded in 1999. He teaches advanced MBA courses in the areas of corporate finance, corporate takeovers and international corporate governance. Professor Eckbo, who received a PhD in financial economics from the University of Rochester in 1981, has published extensively in the top finance journals in the areas of corporate finance, investment banking, and the market for corporate control. He is a recipient of an honorary doctoral degree from the Norwegian School of Economics, the prestigious Batterymarch Fellowship, as well as several outstanding-paper awards. He is a research Associate of the European Corporate Governance Institute (ECGI), and a frequent keynote and invited seminar speaker. He was called in 2009 by the U.S. Congress to testify on issues concerning the government’s large equity ownership positions in companies rescued under the Troubled Asset Relief Program (TARP). The Consortium is coordinated by Miguel A. Ferreira, the Banco BPI Chair in Finance at Nova School of Business and Economics. Accepted students will present their papers, receive feedback from mentors and hear expert panelists discuss potential research topics and professional advice. In addition, conference registration is waived for students selected for the Consortium. If you have any questions regarding the Doctoral Student Consortium, please contact Shannon Tompkins at [email protected]. 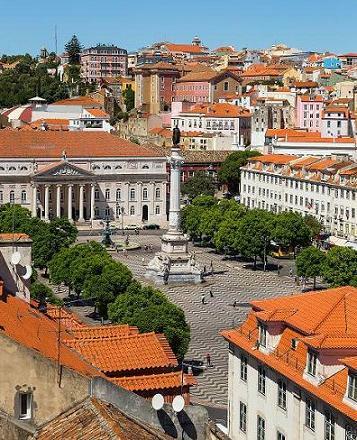 Since 1997, the FMA European Conference has brought together distinguished academicians and practitioners for the exchange of research and practice. With 250 - 400 attendees, the meeting is an excellent opportunity to meet with these well-known individuals in an intimate setting. For more information or to book an exhibit or sponsorship, please contact Karen Wright at 813-974-2084 or [email protected]. During the conference, use the hashtag #FMALisbon2017 to follow the conversation on Twitter (@finmgmtassoc) and Facebook (www.facebook.com/FMA.org). ISEG's mission is the creation, transmission, and social and economic value of knowledge and culture in the fields of economic, financial and business, a plurality of frame and intellectual and scientific freedom assurance, respect for ethics and social responsibility. In fulfilling its mission, ISEG contributes to the advancing frontier of scientific knowledge in the fields of economic, financial and business and ancillary areas and support for the economic and social development of the country and its international position by carrying out teaching and research, service to the community and the international scientific and cultural exchange of students, teachers and researchers. ISEG promotes a pluralistic approach to teaching and research, encourages the development of synergies between scientific fields, develops a culture of leadership, innovation and entrepreneurship, and assumes the implementation of joint actions with other educational institutions and research, national, foreign and international, and are based on ethical and socially responsible values. ISEG promotes and disseminates a culture of evaluation, internal and external, for the organizational improvement and performance of structures and all agents that interact in it.